Yes folks, the Electric Light Bike Orchestra rides again. Dark Mofo is upon us once again, so we’ll be heading out to add some colour, movement and sound to the mid-winter festival. Lance has had time to add to the repertoire of light driven sound devices, we’ve charged the batteries and turned up the speakers so please come along on Friday 10th June. Bring all your lights, the more colourful the better. Meeting at the Cenotaph from 8:30pm, and heading off en-masse at 9:00pm. We’ll head off to Evans Street and around the waterfront area. We’ll be out for a couple of hours and you can join us for as little or as long as you want. Head over to Fbook to let us know you’re joining the event or like the ELBO page to see some clips and images of what will be rolling out. State Bike Week is now earlier on the calendar. 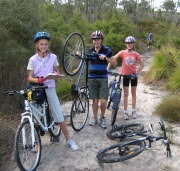 This year offers rides and activities in the north, north west and south of the state. 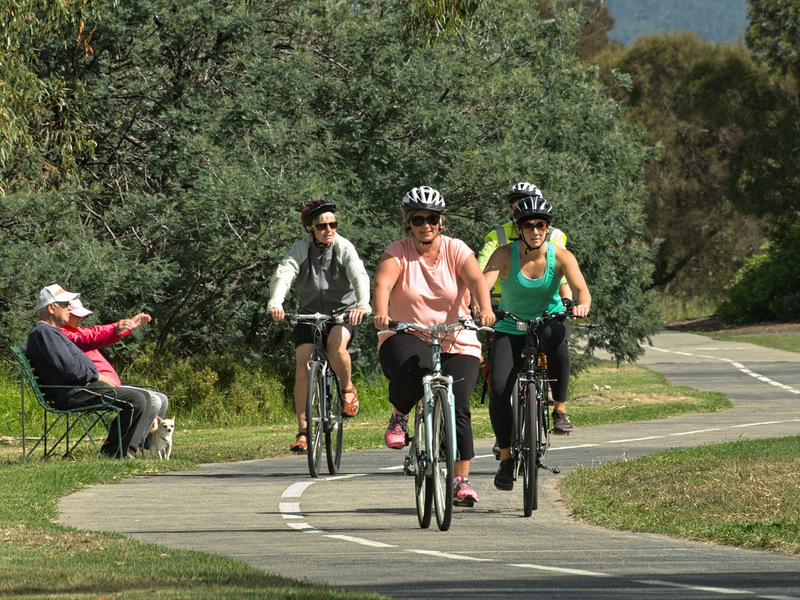 Whether you have a road bike, mountain bike, a city bike with a basket or a clunker, find something that suits you and join in. For the full calendar go here. 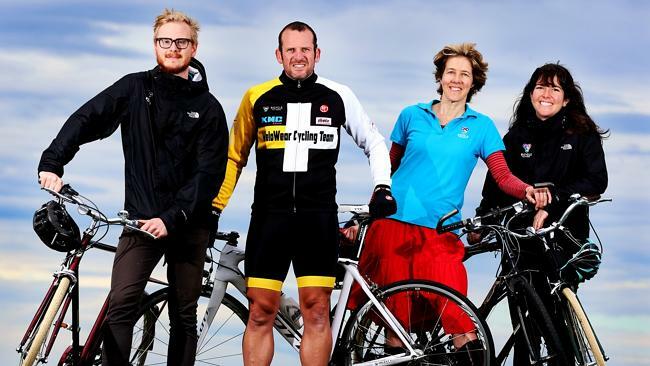 A social, friendly ride along the challenging course of the Century Ride from previous Bike Weeks. 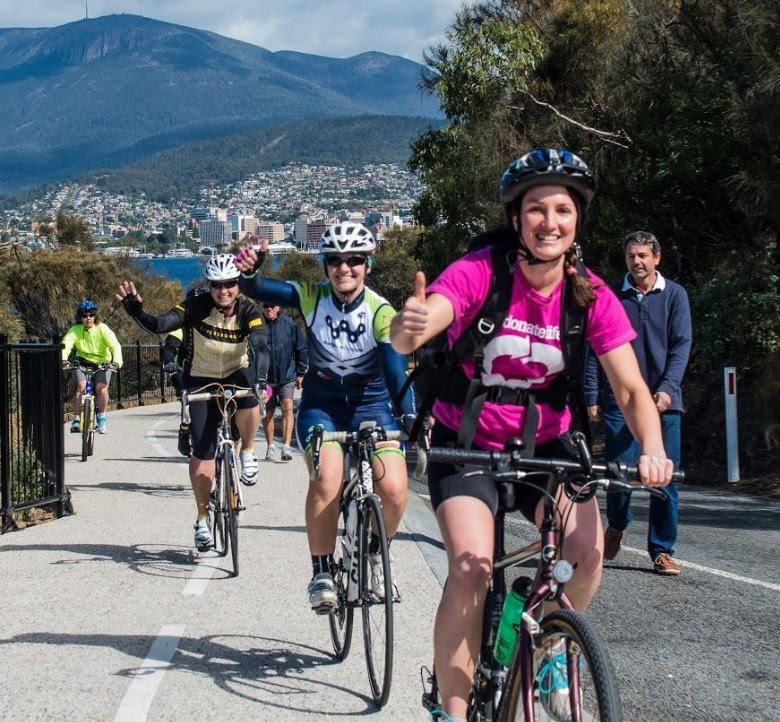 Held on Sunday 7 February at 9am and led by Peter Thurling it will be a “no drop” ride (ie the group will stick together on climbs and no one will be left behind). 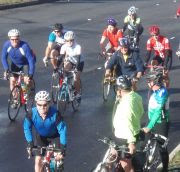 This is a social, friendly ride along two thirds of the Century Ride course . This will be a supportive cruise along a scenic but challenging route. Held on Sunday 7 February at 11am it will be a “no drop” ride i.e the group will stick together on climbs and no-one will be left behind. Your ride leaders will be Greg Dutkowski and Matt Drake. It’s only a few weeks away now. The Sustainable Living Festival is on at Prince’s Wharf No. 1 on the 31st October and 1st of November. Please come along and say hello at our marquee on the PW1 forecourt. It’s great to have a chat about what we do, or even better what you’d like to do. So ride on down and take advantage of the valet bike parking as well, before you go off and find some more things to make you happier and healthier. Please also check out our Auction Bikes 2015 page for your chance to get yourself or a friend the bike they’ll love. So would you like to be a part of the HBK Electric Light Bike Orchestra? We know bikes are fun, making a bit of noise and playing with lights is fun and we know Dark Mofo will be fun so we’re going to put them all together and have a great night out. What: Cruise the Dark Mofo waterfront with the Hobart Bike Kitchen’s Electric Bike Light Orchestra as they carve a dark sonic soundscape from the lights and darkness around them. Bring all of your bike lights and blinkys to be played by the ELBO. Who: You , and any ‘performers’ who want to wield some weird darkness-controlled noise. Please contact Lance or HBK directly to discuss this! So what are we trying to do? We’re planning to build some bike fitted random sound generators, add a bunch of lights, mix with a group of friends and go out and see some of Dark Mofo. We want you and friends to come and join us on the opening night of this years Dark Mofo to celebrate things dark and light and bike and noisy. there is Radiant Heat and at Dark Park there will be a number of events such as Fire Organ by Bastiann Maris, Anthony McCall’s Solid Light Works, plus whatever else is happening around the waterfront. It’s also a good bet that once you’ve ridden around in the cold for a bit you might need to find a fire and refreshments. We haven’t got a plan for that yet. Suggestions? Or we might just make it up as we go along. So you can just grab your headlights and come along, or get as involved as you’d like. 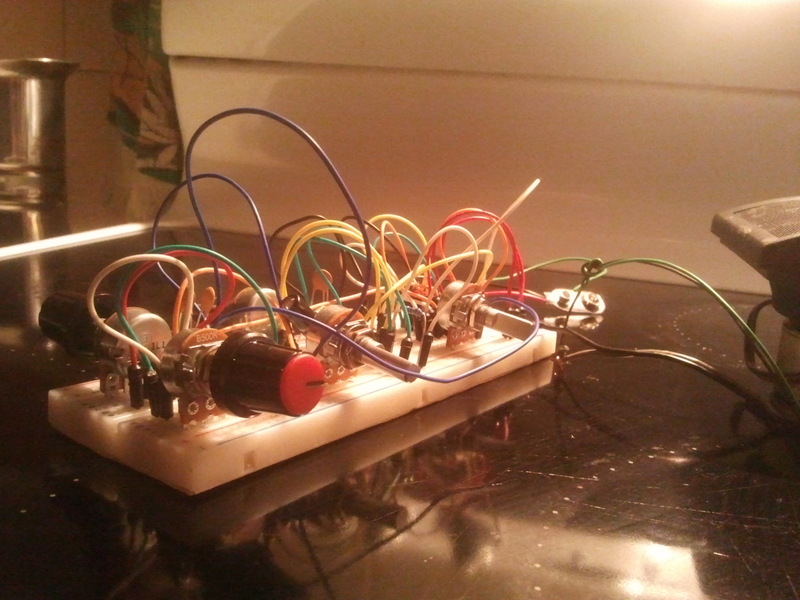 If you want to create your own bike instrument the more the merrier. If you just go the old peg and card in the spokes, we’re not going to say no. EDIT: Hi everyone we’ve had such an outstanding response that we need to modify the guidelines. The ELBO will slowly cruise around the Dark MOFO waterfront whilst the orchestra carves a dark droning and shifting 3-dimensional soundscape from the bike lights of the riders who are with us. Dark sounds carved from bright lights. 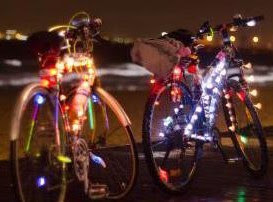 We want everyone to come along with all of their bike lights on show, and to expect a visually bright, but aurally dark and discordant experience. The aim is light-controlled-sound on a bike, not bike-controlled-sound with lights if that makes sense to you. We don’t want to descend into a chaotic cacophony of noise and tangled bikes. So please come with lights, we’ll provide the sound. Here are some samples of what Lance has been able to come up with so far. So please let us know if you want to join us. I’ll make a Facebook event and you’re invited. If you have some technical sounds skills we’d love to hear from you. It’s only 4 weeks away and the more interesting instruments that can be built the more fun we’ll be having. NB this is not an official Dark Mofo event, we think of it as Dark Mofo Fringe. It’s Cycling Sunday and as the headline says a perfect day to get on our bikes. So we’re getting the bikes out heading off to Bellerive and going for a ride. We hope you do as well. It doesn’t have to be one of the organised rides, make your own Cycling Sunday and head off with the kids or find a new cafe. 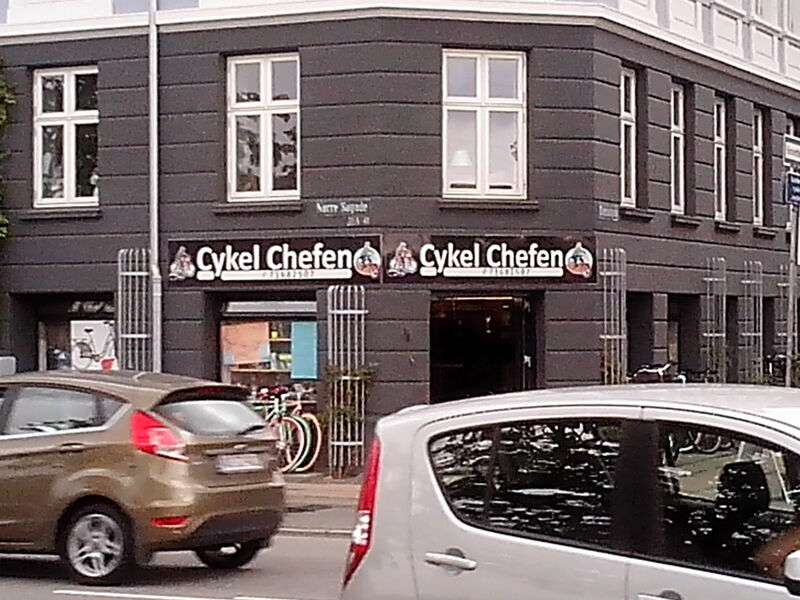 Thank you to the Cykel Chefen you ask? Well I’d like to offer a big thank you to everyone from HBK who was involved in making the Sustainable Living Festival another great weekend. To those who helped get the bikes ready, setup and participated over the weekend thanks very much. I’m pretty sure we all enjoyed ourselves. To everyone who has donated in the past, or took part in the auctions and especially the auction winners thanks also. Also it’s an excuse to use an photo from Copenhagen I took while on holidays. You’ll all be pleased to know that our auctioneers did a stirling job and we reached our target for the weekend and have definitely raised enough to pay the bills and look to do more of the great work we’re known for.